Jim Elliot Christian High School is proud to provide curricular offerings that challenge and develop the minds of our students. Students take college preparatory curriculum which meets the requirements of the University of California (UC) and California State University (CSU) systems. 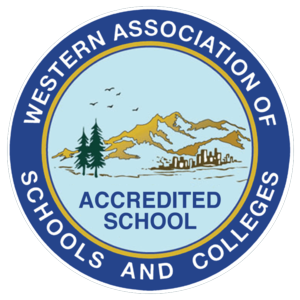 Jim Elliot is fully ACSI and WASC accredited. Accreditation is a voluntary accountability process to established and ensure schools meet basic education standards and are designed to help schools work towards continual improvement.